Well, damnit. After media pick up from NPR, The New York Times, dozens of tech blogs, and this Swedish site we really thought we’d hit our $7.3 Billion dollar goal. If only we had set our sights on a $7,299,999,000 budget for this project. Trust us, we’re kicking ourselves pretty hard over this one. But on the bright side, we raised a lot of awareness and feel pretty confident that next year can be the year we #achievethedream! Maybe we can save some money by leaving a couple doggy doors in the wall that are only big enough for small animals to get through. Not big enough for burners though! Until then, it wouldn’t be a fully complete SF project unless we wrote a Medium post about the experience. So we did that. Thanks for all the support, everyone! The funding platform for large-scale infrastructure. UPDATE: Damn. We finished $63 short of our $7.3 billion dollar goal. Read what we learned from a 99.999% successful campaign. This project will only be funded if at least $7,300,000,000 is pledged by Sun, Aug 29 2015 11:59 PM PDT. A community effort to construct a 300-mile wall in one week and prevent Burning Man attendees from returning to the Bay Area. We want to help Burning Man attendees continue their favorite week of the year, and allow them to keep experiencing the genuine community and deep connections they can only feel while at Burning Man. 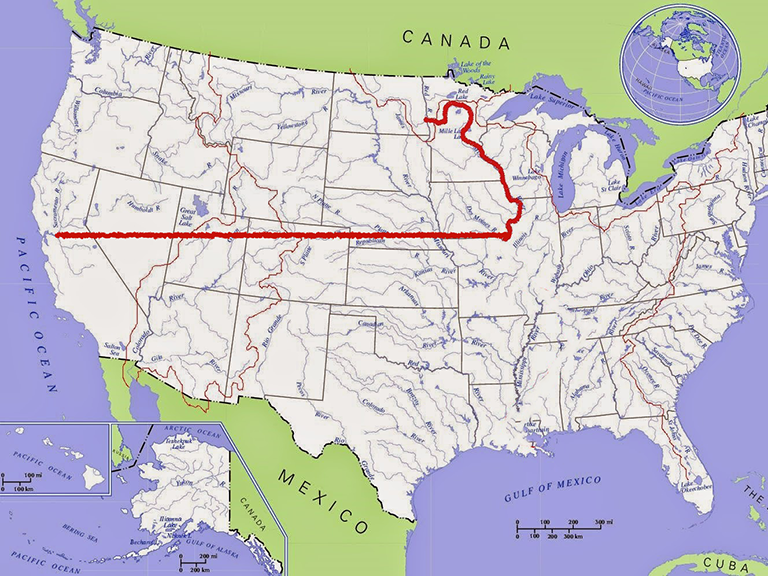 To do this, we will build a 300-mile wall around the entire Bay Area during Burning Man. For the rest of us, what’s normally our favorite week of the year… lasts forever! We’ll use 100% of the 7.3 billion dollars to buy state-of-the-art wall supplies. All work will be completed on a volunteer basis. You! And us. And millions of others who stay on the San Francisco side of the wall. Through the process of coming together for one ambitious week of working together, we can forge a more idyllic Bay Area community. We can return to our lives as better people. How amazing does that sound? 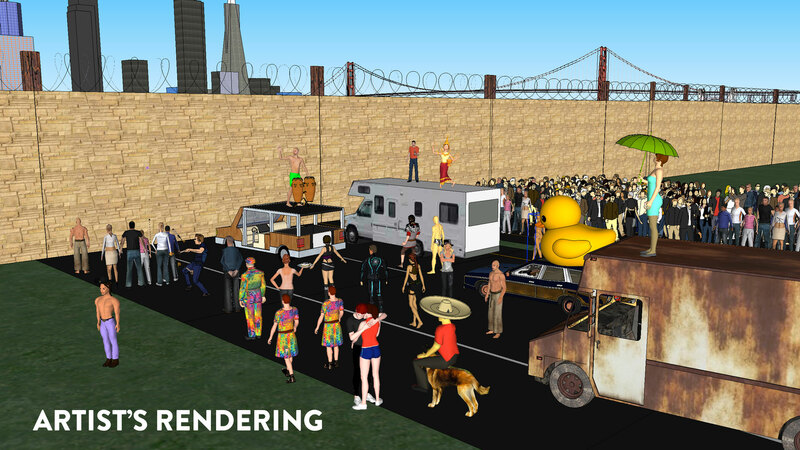 The Burning Man Wall will look like this. Building a 300-mile wall in one week will be difficult, but if we can get just 50% of the Bay Area population (minus Burning Man attendees) we’ll have about 3.5 million volunteer wall builders. That’s less than half a foot of wall per person! We’ve called around to local suppliers and hardware stores and it seems like we shouldn’t have trouble finding enough materials to get this job done. 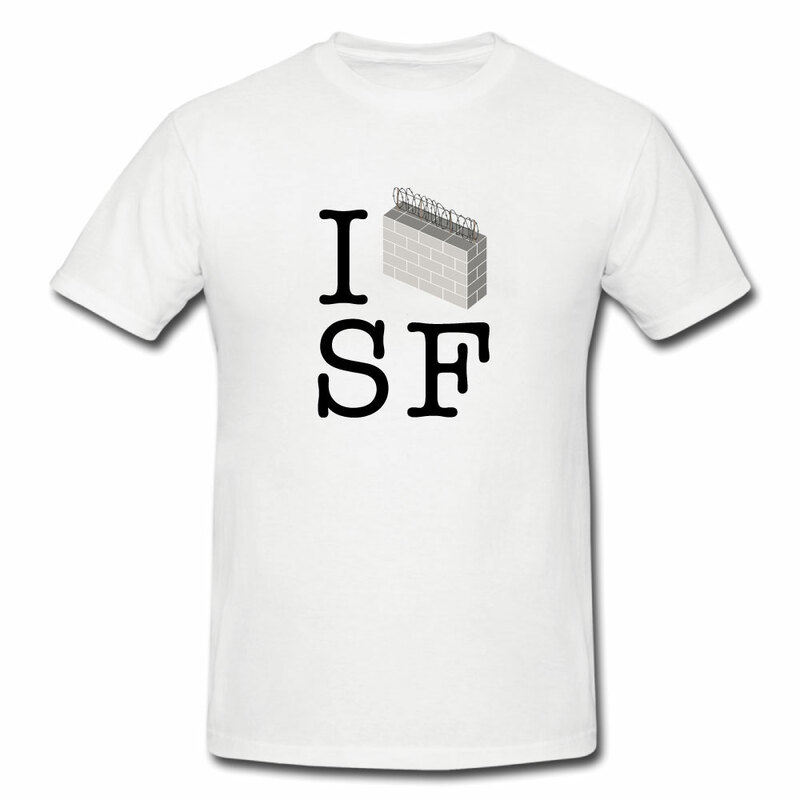 Get your very own "I Wall SF" T-shirt! 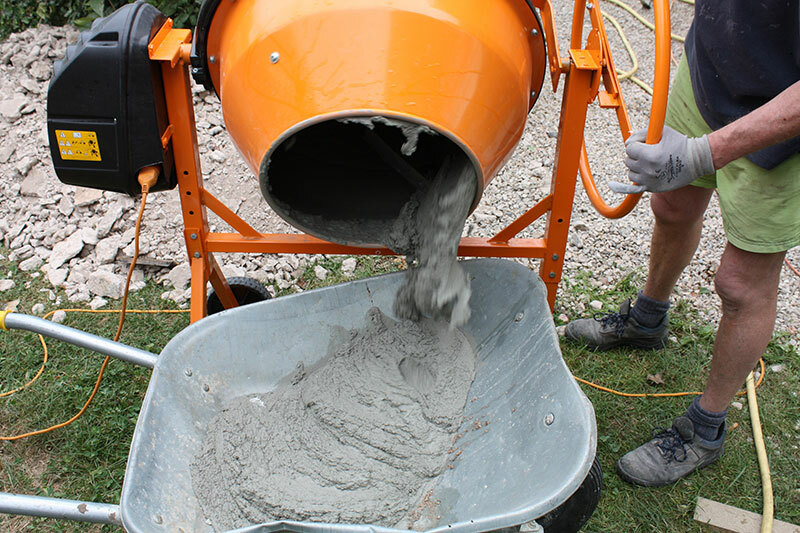 Donate $500 and you’ll get to operate a cement mixer for one hour. Fun! Aren’t able to take the week off? Donate $5,000 and receive your own desktop wall. 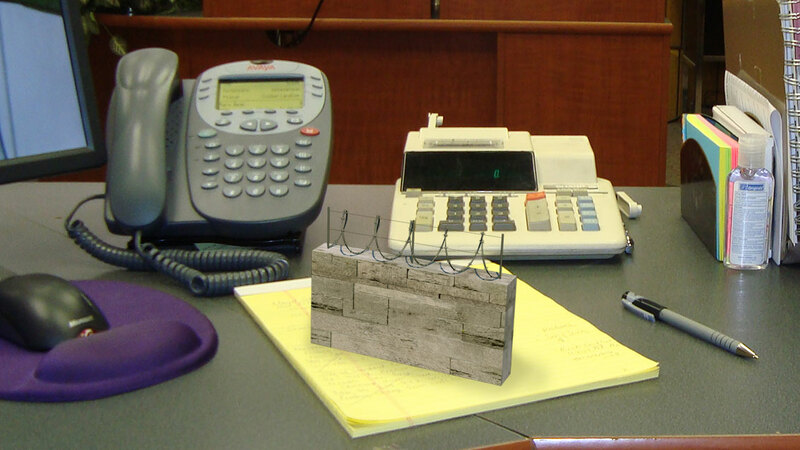 We'll make you a foreman of your own quarter-mile stretch of wall construction. Manage your crew of volunteers, handle any engineering emergencies, and take pride in the final product knowing you helped make it possible. We'll throw a party up atop the wall on the night of completion. Stay up all night and see firsthand the look on those Burners faces when they arrive at the wall on I-80. Winter is coming… and it won’t bring Burners! Get everything above plus a quarter-mile stretch of wall all to your own. Advertise your business, commemorate loved ones, or paint a mural. It's completely up to you! You’ll lay the first cinder block in either Point Reyes or Santa Cruz. It’s the fourth-longest river in the world, but let’s make it No. 1 and solve California’s drought all at once! The Midwest is boring to drive through. 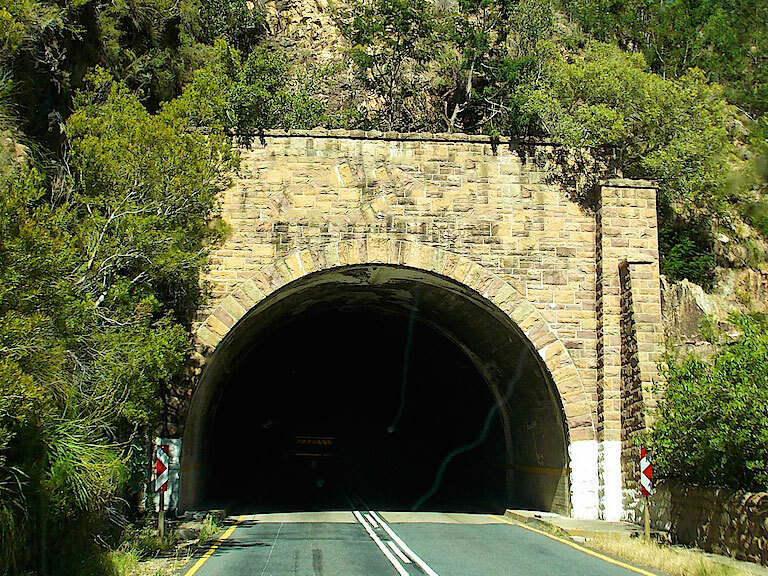 Let’s put a tunnel under it! Let’s solve the LA traffic problem once and for all. 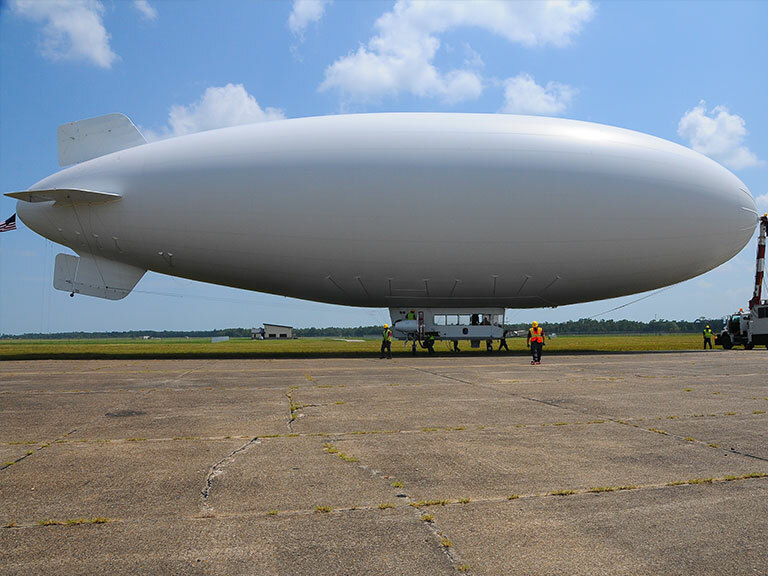 With blimps! We produce Comedy Hack Day, an event where developers and comedians build hilarious apps. Check out ComedyHackDay.org if you’d like to learn more.